"Temperature now at 73 degrees. Winds are coming from West SouthWest at 11 miles per hour." "Temperature now at 45 degrees. Winds are coming from West SouthWest at 5 miles per hour." "Temperature now at 6 degrees. Winds are coming from North SouthEast at 5 miles per hour." "Temperature now at 27 degrees. Winds are coming from South SouthEast at 14 miles per hour." "Temperature now at 86 degrees. Winds are coming from East SouthEast at 5 miles per hour." "Temperature now at 84 degrees. Winds are coming from West NorthWest at 2 miles per hour." If your station uses the Radio Digital System (RDS) or any other type of Subcarrier text system, then we also provide you with a text file that contains the current weather info! Please enter your location and preferred speech type, to let e-Weather create an audible weather report for that location. Enter your location in a city, country format (e.g. London, UK). The WOIED code gets generated automatically for your location, just click submit and you should listen to the weather report instantly. Using this link, you can find the Yahoo WOEID code for any city in the World. 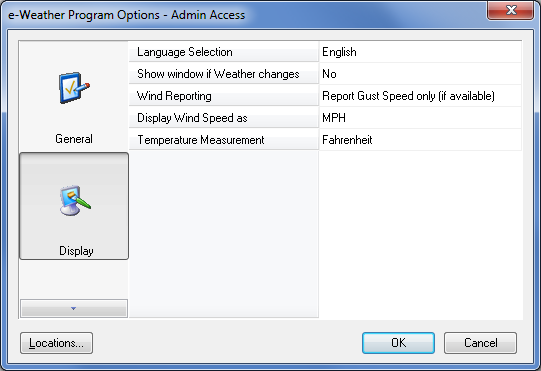 e-Weather is a Windows application, almost any version of Windows and Windows Server will do! In the options section, the user selects the location (City/Town or even zip code) and then sets the time interval (in minutes), that e-Weather checks and updates automatically the current weather conditions for that particular location from various weather sites. e-Weather creates an MP3 file, spoken with real human voice, either male or female, the MP3 file sounds like : "The temperature now is 71 degrees... The winds are coming from Northwest, at 11 miles per hour". These MP3 files may be generated in any system folder, either locally or in a network, with a filename specified by you e.g. "temperature.mp3". These files are automatically updated and always include the current weather conditions, since the newly created one overwrites the old one. Thus the only thing left, is for you to schedule your ON AIR software, to "play / air" these files any time you wish, and therefore automatically inform your listeners. 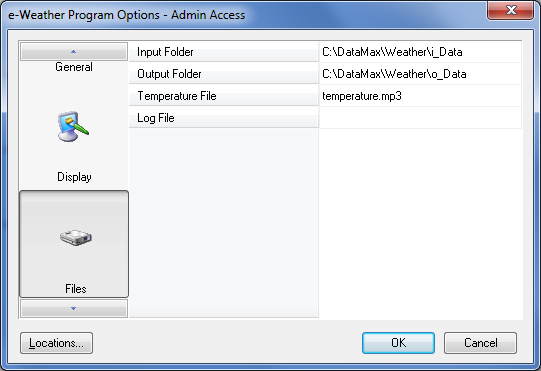 In case your radio station uses RDS (Radio Data System), or any other Subcarrier text system, then e-Weather also creates a text file with the same weather conditions, that you can feed to your RDS system and then your listeners can appreciate the current weather conditions on their radio displays! Its configuration options allow you to choose between various methods of wind measuring, different temperature measurement units etc. 1. Basic version, which costs US $400 for a single license with a 3 year lease. 2. Basic + Scheduling Module, which costs US $500 for a single license with a 3 year lease. What is the difference between the 2 versions? The Basic version produces just the spoken weather conditions spot. 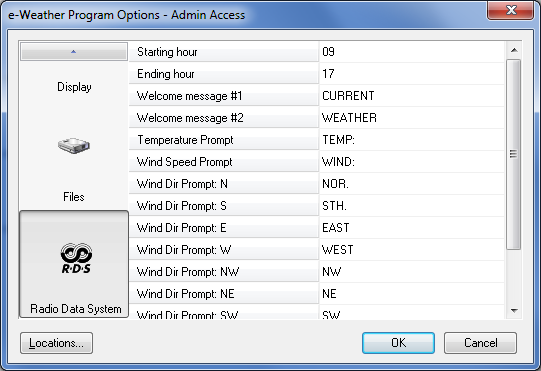 The Basic + Scheduling Module, allows for an advertising spot to immediately follow the weather conditions spot. You can easily schedule different advertising spots for each hour thus 24 per day and different for each day of the week. You have a 24 x 7 scheduler. Can I use my own voicing? Of course you can! We will send you the scripts and instructions on how to record and then you'll send the recording back to us. We will then produce your custom prompts and set them up for you. Extra cost is US $150. Can I add my own Station Name / Callsign? Of course you can! 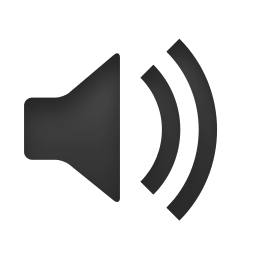 We can add any kind of extra info, such as City, Callsign, Announcer's name, Sponsor intro "Brought to you by", etc. For example after customization, the produced weather conditions spot may sound like : "Hi this is John Smith with WKX 107.5 weather conditions, brought to you by SomeCompany... 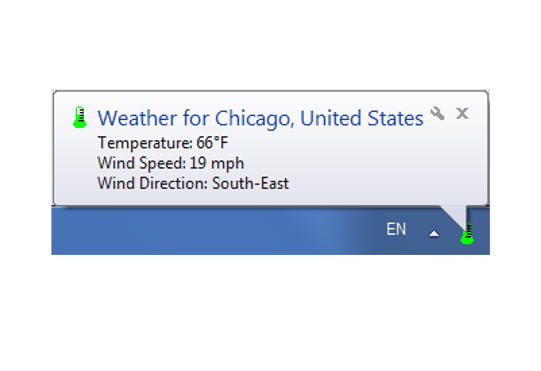 Temperature now in Skokie is 72 degrees, the winds are coming from the East at 8 miles per hour. What type of hardware does it need? 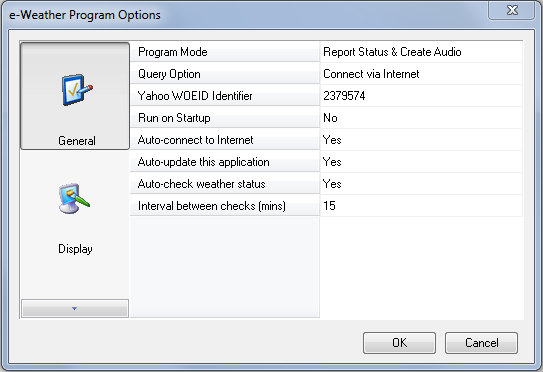 e-Weather is a Windows (XP, Vista, 7, 8, or even Windows Server) application. It runs in the background and requires less than minimum of PC resources, thus it can run with no problem at all, on the On-Air Station PC, or if you have a local network you can install it there, since the MP3 spots it produces can be created on any folder locally or in the network. 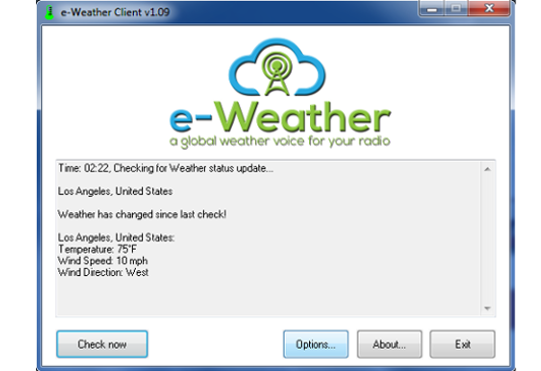 What can e-Weather do for my radio station? Staying up-to-date with the weather conditions of your region is not only useful for your listeners. It can generate profit for your radio station as well! You can sponsor it, offering air-time to your sponsors and increasing their audience outreach. e-Weather's totally automated/no human interaction 24/7 operation and sponsor scheduling, makes it easy to sell for various promotion activities. IIf your station uses the Radio Digital System (RDS) or any other type of Subcarrier text system, then we also provide you with a text file that contains the current weather info! We are counting 12 years of strong and dynamic presence in the European and Greek radio market. Our clients are more than 250 radio stations in Greece, Cyprus, USA and Australia. DataMax Group has been a leading company in the field of radio station news productions, since 2003 when it first implemented an exclusive idea for producing pre-recorded, news e-bulletins in MP3 format which were automatically made available to radio stations. Paypal payments are accepted, using either your Paypal account or any Credit Card via Paypal's secure servers. The selected product, (except the custom voicing option), will be licensed to you and immediately available for digital download. + How the product works? + How much it cost?